For many of us, Times New Roman is the default setting in our word processing software. For me, it isn’t because I like it better — it is more that I am used to using it. It is clear and easy to read, and when I was in school, it was the required typeface in many of my classes. Old habits die hard. But Suvir Mirchandani may have just changed my mind. His study looked at the price of ink and found that the price of your average printer ink cartridge was double the cost of an ounce of Chanel No. 5, and it doesn’t smell nearly as nice! Using the APFill Ink Coverage Calculator, Suvir measured the amount of ink used to print the most commonly used letters of the alphabet. His findings were reinforced by printing and carefully weighing each letter. 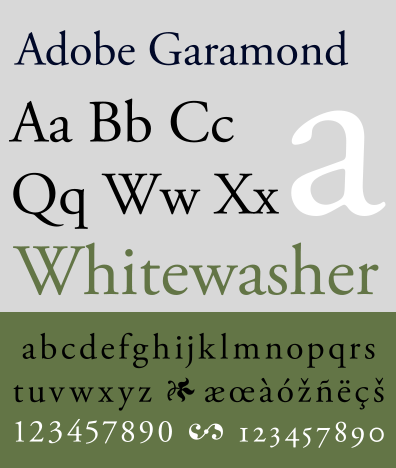 The findings were amazing: Using Garamond as your default typeface setting can reduce your ink consumption by 24%. Savings of 24% sound pretty good to me. I am always appalled at the cost of ink and toner cartridges when it is time to replace them, but I don’t think much about it when I am printing. That is about to change. Suvir calculated that his school district could save up to $21,000 a year by making this very small change. The Journal for Emerging Investigators (JEI) was interested in the study and challenged Mirchandani to go further with his calculations and determine the savings if the federal government changed their default typeface. The results were astonishing! The General Services Administration estimates that the government’s annual cost for ink is approximately $467 million. If his calculations are correct, and they seem right on target, the U.S. government could save $136 million per year. If state governments hop on board, the savings would jump an additional $234 million. What’s not to love! I will have to admit that this is not the science fair project of my youth. I know my homemade volcano rocked the house, but it didn’t save anyone any money. Kudos to this extremely intelligent young man for his effort, which in the long run can save all of us some of our hard-earned money. Will you be changing the settings on your computer? I know I will, and then I will bake some cupcakes to celebrate the money I am saving.